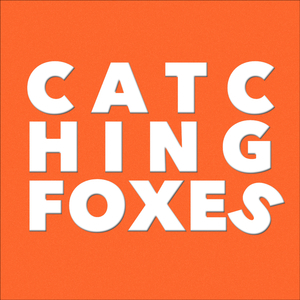 We found 7 episodes of Catching Foxes with the tag “scandal”. We talk: Rap, Dave Chappelle, Summer of Scandal and people who think we're just weathering the storm, Voris as Rejectionist, Accommodation argument revisited, Turkey Day traditions, What we are thankful for, a Powerful Letter we received, Catholic Podcasts, SEEK2019, The Problem with FUS, Luke feels dead inside (serious), Adotion or Fostercare, and our closing Shout Outs. The second half of last week's episode! We dive into the two Chicago priests arrested in Miami as a sign of the actively gay subcultures and enclaves present in the Church. Then I play a statement from my parish's town hall meeting that will break your heart. Finally, no gay witch hunt, please! There is no cake. There is no ice cream. There is only McCarrick. Happy Birthday! Katie met Cardinal Tobin and had an interesting conversation with him. Also, "TOWN HALL" Gomer says it 1000 times. Luke is still grieving and ragin' like a boss. JD Flynn is the Editor of Catholic News Agency, an online news website with sick Google Plus skillz.